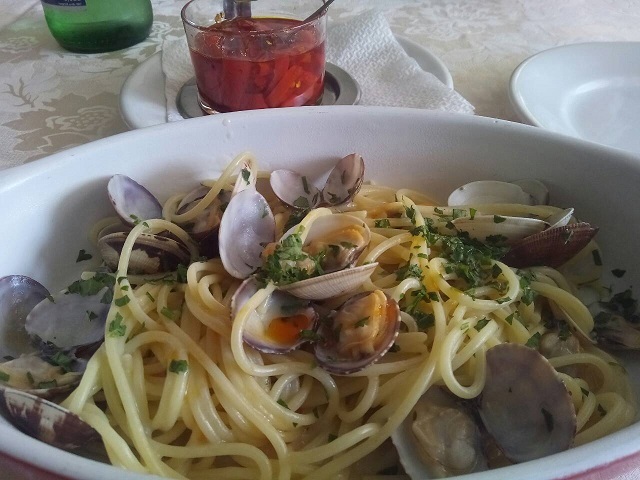 Just came back from Scalea and I think it would be great idea to share your favorite meal in one of the restaurants you like to go to. In La Playa (nice restaurant just before the Tower Talao) I like Pizza and Fusili Calabrese (type of pasta with pork mince and wild mushrooms). Owner Franko is very attentive nice person, we’ll be coming beck for more and more. 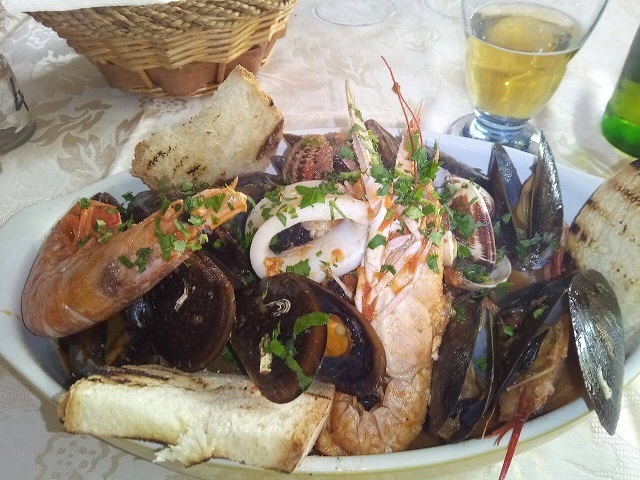 My favorite one in Tegamino Capricioso — it’s a large bowl of mussels, octopuses, prawns cooked in tomato sauce. Yuuummmmmmy!